Black-crested warbler Myiothlypis nigrocristata, photographed by Mikko Pyhälä. There is no denying the current status of English as the de facto lingua franca of the world*. And yet, I feel that a complaint must be laid at the feet of the Brits: they're a bit unimaginative when it comes to animal names. 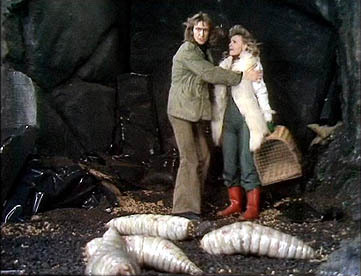 Many a British explorer, upon being presented with some hitherto unfamiliar product of the natural world, proceeded to label it with the name of whatever inhabitant of his native Europe he felt bore some vague resemblance. And hence, even today, there are significant groups of animals such as the Parulidae that are almost without a vernacular name to genuinely call their own. *The potential irony of this sentence is not lost on me. 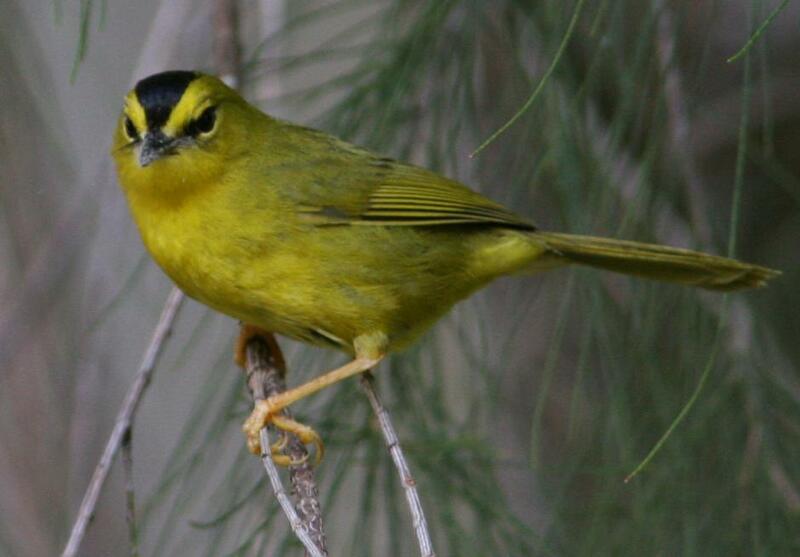 The Parulidae are a family of birds found throughout the Americas, though in the northern United States and Canada they are represented by migratory species that retreat further south in the cold months. Many of the migratory species have males with brightly coloured breeding plumage and are consequently idolised by North American bird watchers; non-migratory species, on the other hand, tend to have similarly subdued males and females (Update: see comments below). Members of the Parulidae are generally referred to as 'warblers' or 'wood warblers', despite not being at all closely related to the European warblers. Instead, parulids are members of the 'nine-primaried oscines', the passerine clade that also includes such birds as finches, buntings, sparrows, cardinals and tanagers. Within the nine-primaried oscines, parulids are closely related to the Icteridae, another American clade containing its fair share of representatives doomed to masquerade under stolen names (Barker et al. 2013). Ovenbird Seiurus aurocapilla on its nest, photographed by M. C. Donald. Though the nine-primaried oscines as a whole are fairly stable in their membership, recent years have seen a fair bit of shuffling back and forth between the clade's constituent families. As a result of this shuffling, the name 'Parulidae' has come to be associated with a core clade that excludes a number of more uncertainly placed taxa previously included in the family, such as the Central American wrenthrush Zeledonia coronata. A recent comprehensive study of the molecular phylogeny of the core parulids by Lovette et al. (2010) also resulted in a proposed shifting of many generic boundaries within the clade. According to Lovette et al., the basalmost member of the Parulidae is the ovenbird Seiurus aurocapilla, a migratory but monomorphic, relatively large parulid of North and Central America. 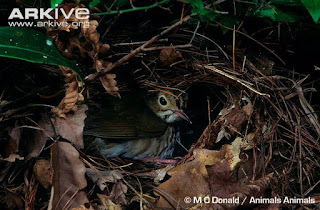 Just to confuse matters, the name 'ovenbird' has also been used for an unrelated group of South American birds of the genus Furnarius. To be charitable, this is not a case of inappropriate name-saking, but refers to the construction by both groups of domed nests resembling an old earthernware oven. 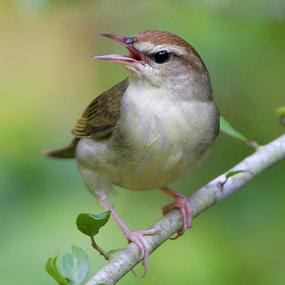 The next member of the parulids to split off was the worm-eating warbler Helmitheros vermivorus, a relatively long-billed species that migrates between the eastern United States and Central America. Swainson's warbler Limnothlypis swainsonii, photographed by Greg Lavaty. Next comes a clade of eight species classified in the genera Parkesia, Vermivora, Mniotilta, Limnothlypis and Protonotaria. The black-and-white warbler Mniotilta varia is noted for its distinctive feeding behaviour: it crawls along branches like a nuthatch or creeper, gleaning insects from the bark. The prothonotary warbler Protonotaria citrea is a bright yellow species that Kurt Vonnegut devoted some time to in Jailbird: "The song of a prothonotary warbler is notoriously monotonous, as I am the first to admit...Still—they are capable of expressing heartbreak—within strict limits, of course" (I personally feel the same about skylarks). The waterthrushes of the genus Parkesia are larger, terrestrially-feeding species. 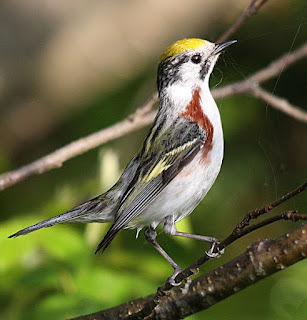 Chestnut-sided warbler Setophaga pensylvanica, photographed by Cephas. Barker, K. F., K. J. Burns, J. Klicka, S. M. Lanyon & I. J. Lovette. 2013. Going to extremes: contrasting rates of diversification in a recent radiation of New World passerine birds. Systematic Biology 62 (2): 298-320. Lovette, I. J., J. L. Pérez-Emán, J. P. Sullivan, R. C. Banks, I. Fiorentino, S. Córdoba-Córdoba, M. Echeverry-Galvis, F. K. Barker, K. J. Burns, J. Klicka, S. M. Lanyon & E. Bermingham. 2010. A comprehensive multilocus phylogeny for the wood-warblers and a revised classification of the Parulidae (Aves). 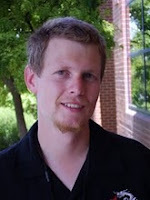 Molecular Phylogenetics and Evolution 57: 753-770. "I feel that a complaint must be laid at the feet of the Brits: they're a bit unimaginative when it comes to animal names"
To be fair to those dastardly Brits, though, they do at least have more than a fair share of unique vernacular names for their native animal and plant species. For example (to stick to avian examples), most European languages have given their small native anatids names that end with the word meaning 'duck'. Thus, in German there is Stockente, Spießente, Schnatterente, Pfeifente, Krickente, Knäkente, and Löffelente. In UK English, however, these species would be known as mallard, pintail, gadwall, wigeon, teal, garganey, and shoveler, respectively. US English, by contrast, has historically tended to adopt a more continental European naming style for North American species (I suspect that this is largely due to the influence of non-English-speaking immigrants, who adopted the English language but not entirely the specifically British way of using it). This is particularly apparent when comparing the vernacular UK and US names of small- and medium-sized raptors. In British English, there are names like 'hawk', 'kite', 'buzzard', 'harrier', 'falcon', 'merlin', 'hobby', and 'kestrel'. In American English, most if not all smaller raptors (even the circumpolar species common to both Britain and North America) were usually given names that ended with simply just 'hawk' or 'falcon'* - or even just 'hawk' (the peregrine falcon and the American kestrel, for example, have been known as 'duck hawk' and 'sparrowhawk', respectively, in the US). In recent years there have been deliberate efforts to globally standardise English vernacular bird names, but historically American English has indeed been less imaginative (or, if you'd rather put a positive spin on it, more economical) with its bird names than British English. * The word 'buzzard', curiously, was transferred to the smaller species of New World vultures rather than to the numerous North American Buteo species. "Many of the migratory species have males with brightly coloured breeding plumage and are consequently idolised by North American bird watchers; non-migratory species, on the other hand, tend to have similarly subdued males and females." That there was an eyebrow-raiser for me. It has never occurred to me that there might be any link between bright plumage and migratory habit. Are there other examples of this among birds? Migratory Charadriiformes come immediately to mind, though of course 'bright plumage' is a relative term. To be honest, though, I'm findin myself wondering if I phrased this properly. The sentiment was one that I came across in a number of places, but as I look further I'm not sure how much it holds true. The black-capped warbler at the top of this page, for instance, is a quite brightly coloured non-migrant, while the ovenbird and Swainson's warbler are conservatively-dressed migrants. One group that does seem to tend to brighter migrants than non-migrants are the members of the Setophaga clade, which are of course the majority among the species found in the United States. Could I have mistakenly read something applying to the North American species as applying to the whole family?